Wheelchair football is one of the most popular disability sports. Children grow up watching traditional football and cheering for their favorite team. Many people, both kids and adults, play traditional football on a team or in their yard. Naturally, this would make wheelchair football one of the first adaptive sports you might choose. But before going out and putting your child on a team, there are a few questions you need to ask. Just because something is popular doesn’t mean it’s best for your family. Wheelchair football is fun, but it is only one of many enjoyable things you can choose to do. 1 1.Where Does My Local Team Meet? 2 2. Is There Another Sport Better Suited To Them? 3 3. Does Your Child Show Interest In The Sport? 4 But What If They Love It? 1.Where Does My Local Team Meet? It’s easy to find out where your local team meets. You can check the Disability Football Directory to find a team near you. Most countries have teams, but not every city will have a team. Often, families have to travel to go to practice. Some parents drive one or two hours each way to meet with a particular adaptive sports team for their child. If you have the ability to do that, then great. If not, you may need to focus more on what activities are near you. The practice time should also be considered here. If the team meets far away, and the drive takes a long time, then the practice time might conflict with school or other activities. 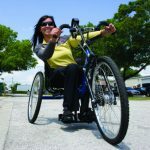 Some children do get excused to leave school early for their adaptive sports programs, but you may want to avoid that, if possible. And where will the competitions be? Can your family travel, if need be, to compete against other teams? Will this be a disruption to your family life or job? 2. Is There Another Sport Better Suited To Them? Wheelchair football is highly adaptive. Even people in powerchairs can play. So you might think that wheelchair football is automatically the best choice in sport. 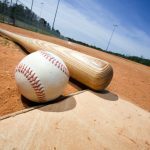 While it is certainly one of the most inclusive, that doesn’t mean you should rule out another sport that may be better suited to your child’s abilities. Some sports, such as wheelchair racing, require a lot of upper body strength. Is this something your child has? Maybe that’s something they could use to their advantage. Look at the talents, skills, and strengths they have, and see what type of sport your child may excel in. Or maybe there is an area where you child needs more exercise and practice. For example, they could be working on core strength and balance. You might want to choose a sport that will push their limits and encourage them to exercise in the areas they need improvement. 3. Does Your Child Show Interest In The Sport? You may love football, but does your child? 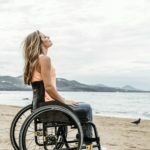 All children, whether they are in a wheelchair or not, occasionally get pushed into activities they don’t like, simply because their parents think it’s a good idea. Sometimes this is ok. We all need a little push to try something new, and parents usually have a good idea of what their child might enjoy. However, sometimes you have to learn when not to push. 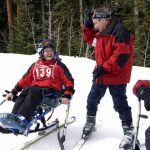 Maybe your child wants to try adaptive skiing, but it’s not your idea of fun. Cold and snow don’t appeal to you. So you don’t take them to go skii. 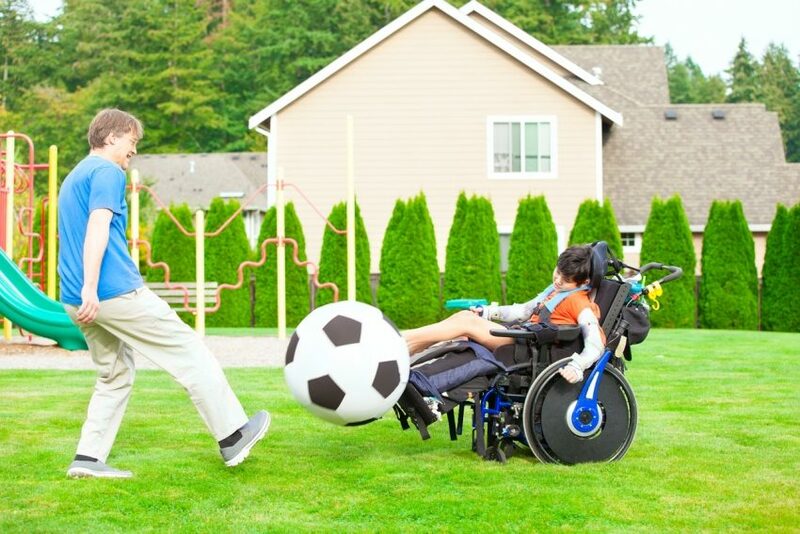 You take them to wheelchair football because that sport is more familiar to you. This is not a good motivation. If your child has no interest in wheelchair football, then don’t make them join a team. You can try it out to see if they like it, but ultimately, joining a team requires the dedication and commitment that is only present when someone loves what they are doing. But What If They Love It? 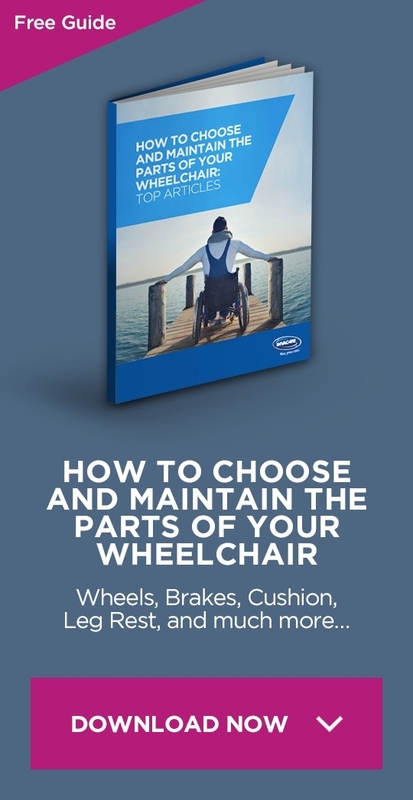 After considering all those questions, you may decide that wheelchair football is still for you. If you (and your child) love the sport and believe it is a good choice for your family, then join a team. Looking at the European Powerchair Football Association webpage is a good place to start to get information. Did it seem those questions were discouraging you against wheelchair football? They were not meant to be. Any family considering any sport for their child should ask the same set of questions. You want to make sure that activities are enriching your life instead of causing stress and strain. Wheelchair football is a good choice for many people, and it may be for you as well!